Our ski instructors and snowboard instructors are hand picked and at the top of their game. The languages we speak are fluent, and we only deliver exceptional quality. Based in Chamonix, Megeve, St Gervais, and Les Contamines. That being said, we’re certainly not elitist. We are as excited about delivering beginner ski lessons, introducing new skiers to the sport. As we are when we are training athletes and ski instructors. It’s all about individual progression. Of course we started at the beginning too (yes, at an age we remember!). So we know things are easier when there is someone to teach you how. 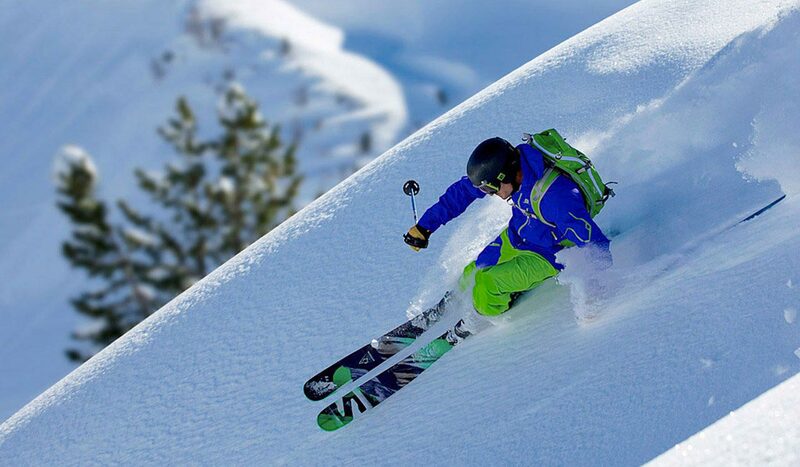 Whether that’s your first turn on skis, or tuning your skiing performance to its peak. We are some of the best in the world at teaching snowsports. We don’t follow templates, or scripts. Our teaching is based around you and what is actually happening. Freedom Snowsports ski schoools operate in the following ski resorts: Chamonix, Megeve, St Gervais, Les Contamines, Zermatt, Hintertux, and UK snow centres. More information below. The most flexibility and performance. Private ski lessons or private snowboard lessons. Offering the most flexibility. Customise your lessons and book online instantly (you can of course contact us too). Choose the duration, the instructor, and which meeting point suits you. In one of our ski resort bases in Chamonix, Megeve, St Gervais, or Les Contamines. As with all of our sessions we take the time to understand what you want from your skiing. Book your customised private lessons online today. Adults, Juniors, and Academy Groups. Alternatively you can see what skiing groups we have planned and read more on our group lessons pages in Chamonix, Megeve, St Gervais, or Les Contamines. Sharpen your skills before the winter arrives. Why wait until winter is in full flow? Get your ski skills on point before the winter arrives and make the most of the precious winter season. Our courses are aimed at dedicated skill development. From single day courses at UK snow centres, to one week training on european glaciers. Read some more and get involved. Off Piste Skills Groups, and Alpine Touring Groups. We run off piste skills groups, and alpine touring groups across the whole Mt Blanc valley. Including Chamonix, St Gervais, Megeve, Les Contamines, & further. Naturally we can run private off piste sessions of everything we offer. So either look for blue dates in the booking calendar to book a group session, or book a private session. Alternatively you can see what groups we have planned and read more about them on the off piste page. A fantastic experience. The booking system is a joy, we booked lessons at 5pm and started them at 9am the next morning all through the app on the phone! Eli is an exceptional coach, building confidence and skills at the same time. Straight out of the Freedom instructor mold. Thanks to Will and the great team, see you next time. The coaching at Freedom Snowsports helped transform my skiing and the manor that Will supported me in this was first rate. I can not speak highly enough of the professional coaching you receive with these instructors. Absolutely first class. Our Excellent Team Offer A Broad Range Of Ski Lessons In St Gervais. Our fantastic set up in St Gervais has a wide range of group ski lessons and private ski lessons available. As well as ski coaching groups, off piste sessions, and alpine touring groups. Check Out Our Live Availability In St Gervais And Online Booking Today. A Wide Range Of Ski Lessons Across The Whole Chamonix Valley. Our Chamonix ski school offers everything from private ski lessons, to group ski lessons, coaching, off piste skills, and alpine touring. Check Out Our Live Availability In Chamonix And Online Booking Today. Offering Private Lessons, Group Lessons, Off Piste, And Alpine Touring. We offer a wide range of ski lessons in Megeve and its neighbouring areas. So wherever you are staying we will have sessions available. Private ski lessons, kids group ski lessons, adult group ski lessons, and ski coaching groups. We also provide off piste skiing lessons and alpine touring groups. Check Out Our Live Availability In Megeve And Online Booking Today. Offering Private Ski Lessons and Off Piste Groups. Les Contamines operates as a whole with St Gervais and Megeve. Our ski instructor team are available to all meeting points across Les Contamines. We offer private ski lessons, coaching groups, and off piste sessions in Les Contamines. Check Out Our Live Availability In Les Contamines And Online Booking Today. Personally tailored tuition focused on you, and your goals.